Today we wanted to talk about how to choose a healthy bread. With low-carb, Paleo, and gluten-free diets on the rise, bread is slowly fallen out of favor. However, unless you have specific intolerances or sensitivities, a wholesome slice of bread on some days will not havoc your health. The issues with commercial breads are many and the buzzwords that bread makers have learnt to use are tricking consumers every day! I see it so often here in town, bakeries trying to sell an overpriced normal bread by calling it Whole Wheat, or Multi-Grain, or by adding a handful of seeds. What are the issues with bread? It has high calories: flour is concentrated grain, with 364 kcal for each 100 grams, flour can make any food have a huge spike in calorie content, however, bread can be part of a wholesome diet when is consumed in the right amount. It is most times a refined product: with the need of lighter and more versatile flours used from pizza to croissants, wheat and rye grains (most commonly used for breads) have become more and more processed, losing all the fiber, mineral and vitamins. The practice of making white flour by the process of roller milling was introduced in about 1870 and it is now common practice. It is a gluten-rich food: with the advent of GMO grains, wheat has been modified to contain more and more gluten, a protein that make the food stretchy, in order to make the final product more elastic and less crumbly. It is easy to avoid this issue by purchasing organic flours. What are the buzzwords that breadmakers use to sell bread as healthy? Brown bread: this bread is nothing else than essentially a white bread made brown in colour, by adding natural or chemical colorant such as molasses (sugar) or coffee. Seeds bread: this bread is nothing else than essentially a white bread made with the addition of some seeds to make it sounds healthier. Multi-grain bread: this is a type of bread prepared with two or more types of grain. Multi-grain bread may be prepared using whole, unprocessed grains, although commercial varieties do not necessarily contain whole grains, just a multitude of refined grains. Whole wheat bread: this bread is made with whole-wheat added to the normal white flour, which means that this is STILL a refined bread. The ingredient list of a healthy whole wheat bread should contain ONLY whole wheat flour (water, salt, oil and yeast); if whole wheat flour comes 2nd or 3rd in this list (after wheat flour), you can leave it on the shelves. Sourdough: Sourdough fermentation when is done freshly may make bread easier to digest, with less gluten and less sugar however, sourdough is almost always made with refined flours and it can become very dense when 100% wholewheat flour are used. Trust us, we have done a whole day of baking with this type of wholesome flour and we have seen the incredible difference. There are breads available that claim to be sourdough but also contain normal yeast, so you are paying extra for something that is very cheap and takes short time to make. Choose freshly made, non commercial breads made with 100% whole grain flours only. Read the labels and make sure of what you are ingesting. You can find it in our online store or learn how to make it yourself. In the meantime, we are very proud to offer wholesome products that do not contain refined flours or colorants! 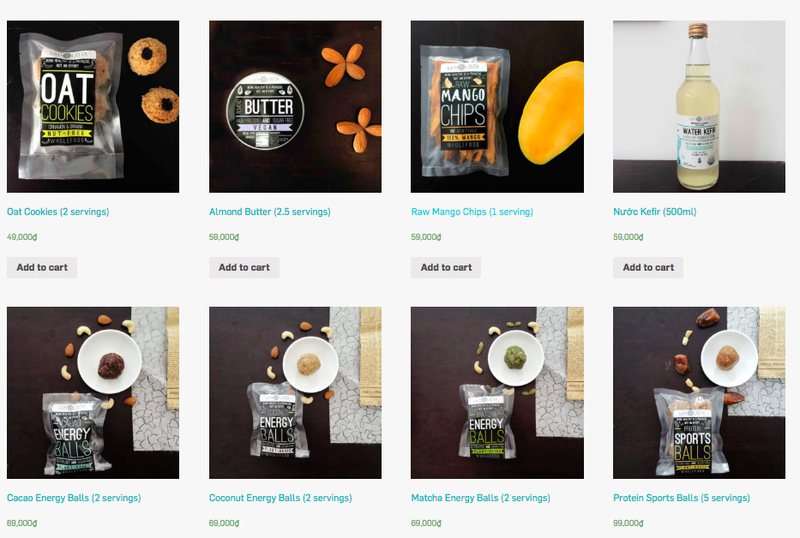 Don’t settle for less, pick from our amazing wholesome food selection on our online shop.